Every year, people say good riddance to the previous year because something(s) have happened to make it seem like a terrible year. 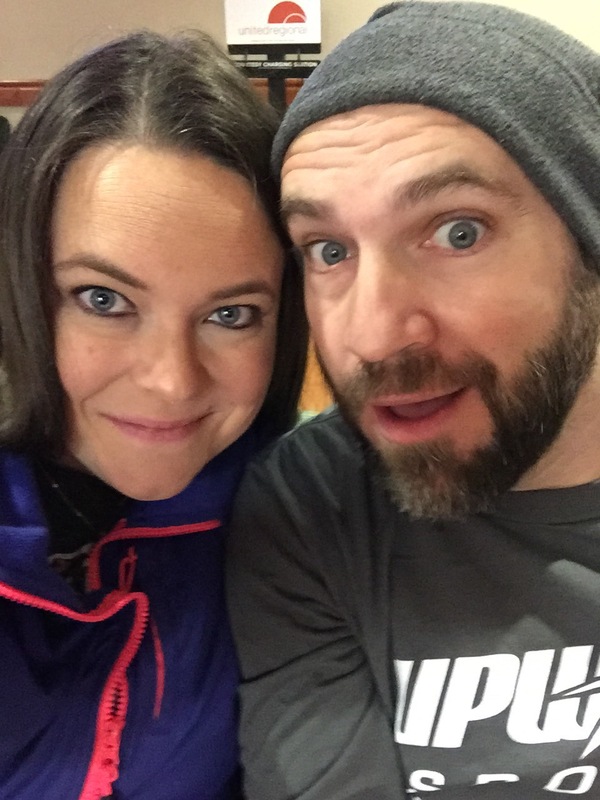 We have had some rough years in our short 9, almost 10, years of marriage (mostly health related, despite our best efforts, it’s just what the Lord uses to sanctify us and we always ask Him to use it to keep our perspective healthy and stable). We’ve lost many (even the amount of celebrities seems unprecedented…but maybe just because I’m getting older), I’ve seen friends lose loved ones so close to the holidays (including pets), and just overall the social temperature around us seems to be escalating to the point we can’t discuss life without worrying about offenses and preferences. I’m going to work diligently these last few days of 2017 to not bemoan it or let it roll, in hopes of a better 2018. If that’s my attitude, I’m sure 2018 will end similarly. There are some moments in each year that change the trajectory of our hearts and lives. Whether it seems for the better or not, we have the will to choose life and hope and then our hearts will follow! When we use verbiage like “this year brought us…” or “I hope next year brings…”, we’re forsaking Who is in control. The year itself is not in control. Maybe He did bring some hard stuff this year, that doesn’t ruin the whole year or make Him any less good. This year He added a baby girl to our lives, called us to somewhere new to move our lives and hearts, & brought cancer and chemo. The reality of cancer and chemo didn’t negate the joy of Clara’s presence in our life or the great adventure of our lives in a new place. The growth and change of obedience and acceptance is too great for us to miss it by bemoaning and wallowing in the memories (or current reality) of hard stuff. Look back with victory over what we’ve been through that changed us and joy over the blessings this year brought. Look forward with anticipation that we can get through anything because we’ve already walked through hard stuff and pray for blessings in abundance. My response is my story. Raising children in the midst of chaos can seem like a task of responsibility and accountability because our hearts are filled with thoughts of logistics, plans, & overwhelmed by circumstances. Pressing into Jesus while I admonish our children has made me the most aware and humbled by the gift of the Holy Spirit. 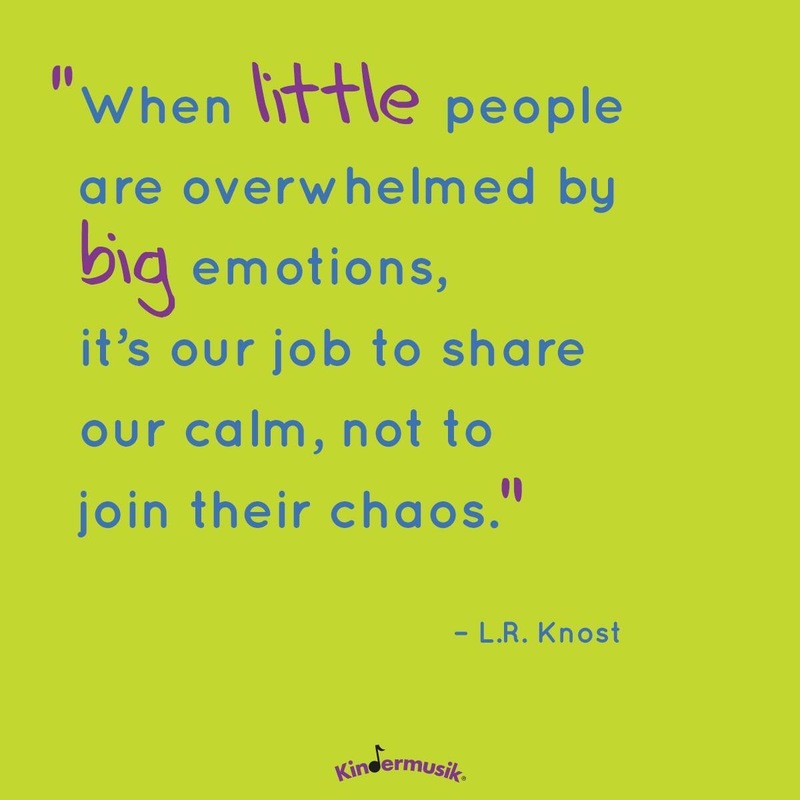 While their behavior is filled with selfishness, tantrums, questions, and the need for training, it isn’t abnormal. It can feel like the greatest inconvenience, though, when my heart is reeling and my thoughts aren’t captive to Christ. I’m overwhelmed by the grace and wisdom the Spirit speaks into me and through me when I’m gently talking through life with my children. When a directive, a calm answer, or wise training comes from the depths of my innermost heart. I’m overwhelmed because Jesus speaks to me even more than whatever I’m speaking to my children. 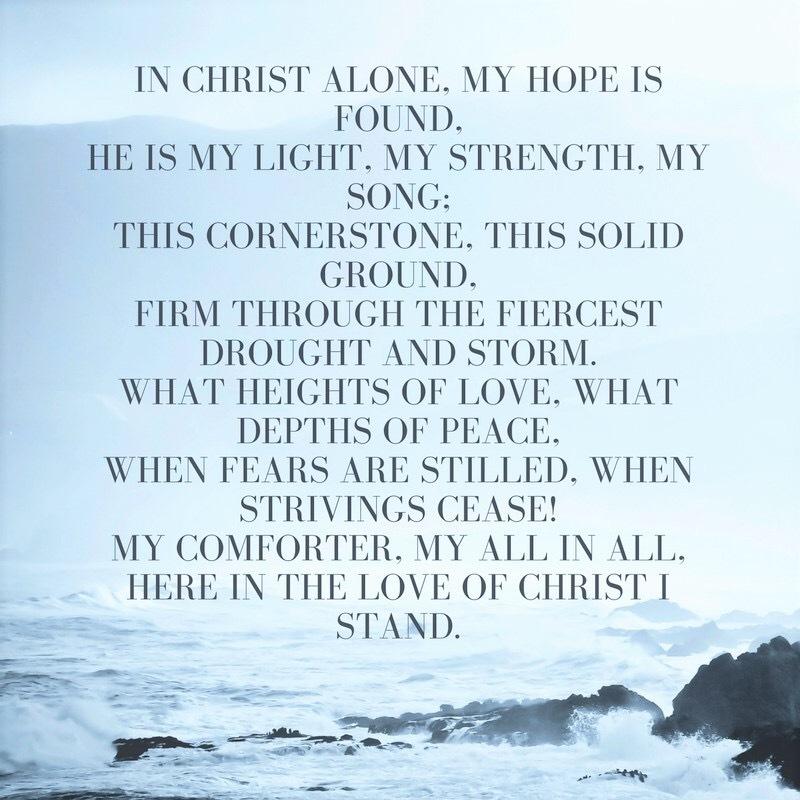 When I’m speaking hope and understanding to them (through the Spirit’s leadership), it’s actually me He’s speaking to…filling up my heart and mind to prompt me towards steadfastness. I’ll never stop growing, and the inconveniences of nurturing and training my children insure this and though I don’t always thank God for it, I am today. So today when my heart is very aware of the circumstances today holds, as we travel to another town to meet with an oncologist to hear pet scan results and chemo treatment plans, I’m asking the Lord to calm my anxious heart with moments of truth shared with my children that are ultimately for us all. Grace so free, washes over me. We’ve added a lot of new words in the last five years to our everyday speak—“normal pain”, multiple sclerosis, relapsing remitting, ms “flare/episode”, degenerative discs, radiculopathy (that’s the best one 😜)…but I think the most recent ones are my least favorite. Cancer. Surgery. Port. Oncology. Chemo. I know SO many have walked this road (I wish that weren’t so), but this is new to us, and I frequently think…this is our life. We are “those” people. We have diligently prayed for “those” people—the ones fighting cancer. We are going to fight…but I mostly know, for now, we’re trusting Jesus. I have used the phrase “press into Jesus”, but until 5 weeks ago, I’m not really sure I even knew what that meant or how to go about it. The kind of freedom and empathy that comes with trial & suffering gives us new life. The kind of life that scoffs at hardships and trying circumstances because there is no room for the enemy. No room for his tactics, his maneuvers. He may ask for permission from the Lord to strike his hand against our response to our lot, but our hearts that are steadfast on God’s Sovereignty, will deny the enemy and press into Jesus. Sure we will give into moments where our hearts beat heavy within our chest and we entertain the what-ifs. We just rest here a moment, long enough to ponder hurtful outlooks, then we set our feet firm in the direction of wisdom. We walk long and hard in the same direction, towards grace. We hurt so much harder and faster for others—experiencing the hard parts—as well as the others we so desperately desire to know Christ and His perfect love. (Honestly) part of the blessing in being a stay at home mom, for me, is that I am not a morning person (soooo it’s rare we go anywhere very early.) This morning, however, I filled in as the mops coordinator at our church. My husband got the boys ready and brought them to the church when he came to work and they went to their mops class. As I was backing out of the drive way, Drake stood in the front windows to wave and mimicked every kiss blow and wave I gave to him. He looked like an 18 month version of himself. Passionately saying bye to me and throwing out some sad faces bc this isn’t our norm. My memories on Facebook today showed me his first steps 5 years ago. How is the human heart capable of sadness over our children growing AND AT THE SAME TIME pride and joy over our children growing!?!? I totally know that’s only a mix of emotions God sets within our hearts in order to appreciate His complex way of loving us with grace and mercy. I’m so sick and really exhausted but we managed to grab lunch at Cracker Barrel bc dad usually has lunch meetings and didn’t today. 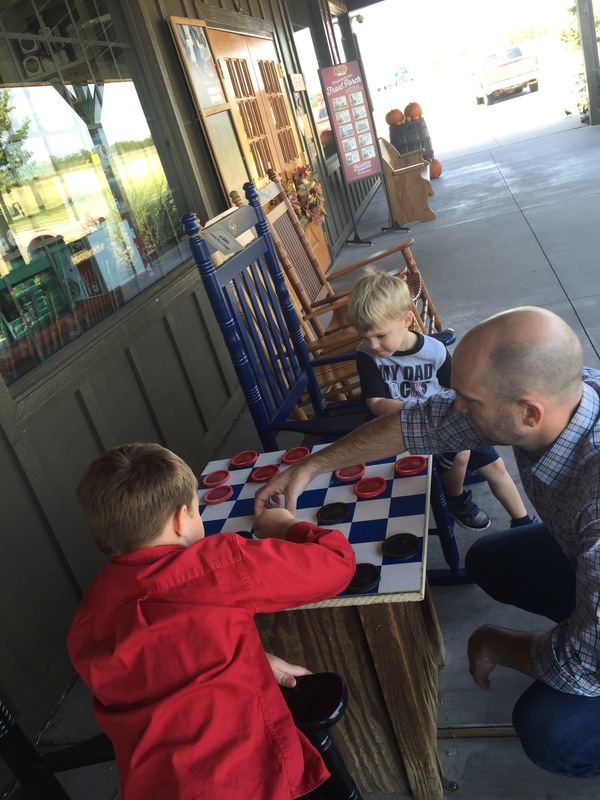 I will say, my heart pounds equally big time as I watch my husband raise and lead our boys. It was hot and I was tired and they asked to play and I plopped down in a rocking chair and my husband squatted right there and taught them how to play. Feeling the weight of expectations I put myself is deceptive and unworthy of sharing space in my heart with the grace of Christ. Walking in freedom that He guides and provides what we need to parent these children brings a new measure of the gospel and love each day to lavish on them and one another. Let go of the confusion (He doesn’t author confusion) and the overwhelmed feelings (because He is sufficient), and do whatever comes next in the day to be a good steward of His blessings:: relationships, possessions, and responsibilities. We looked at each other, and for the first time, we were on the same page, we knew our family wasn’t complete. But there was a big appointment looming, and we weren’t sure what the impending diagnosis would mean for continuing to build our family. We ventured to UT Southwestern and met with an MS Neurologist and he said confidently that I have MS. 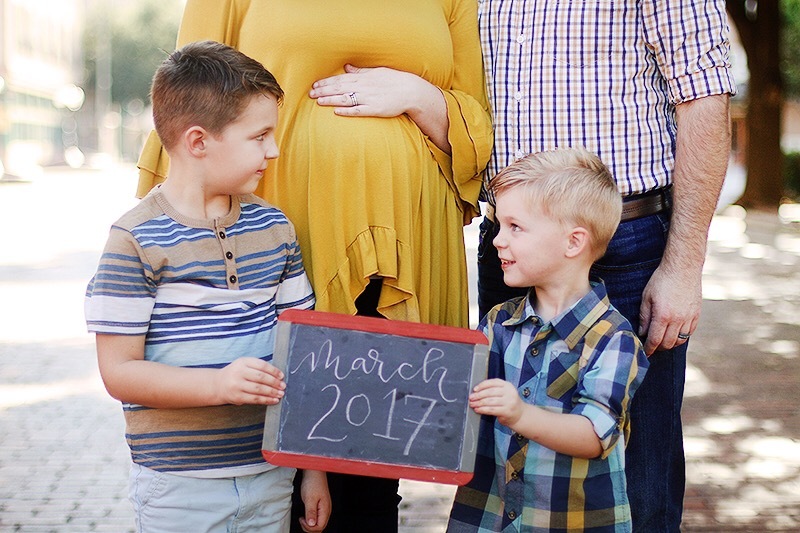 The only real question on our list was whether or not having more children would be wise or even an option. Before we got to our questions, he asked “are you done having children?” We said that we didn’t want to be, but would follow whatever suggestions he made. 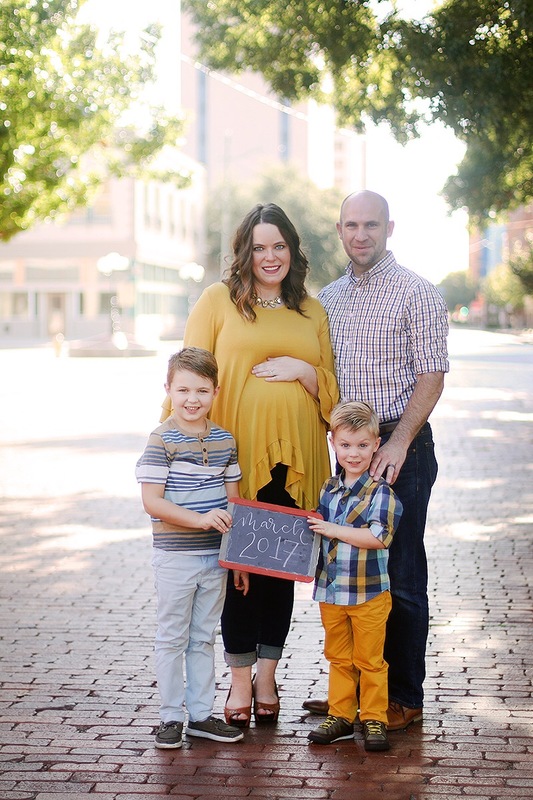 He began to tell us that many women cease experiencing their MS symptoms and it goes into somewhat of a remission during pregnancy. He said go for it! (He also threw in that with my age, we should definitely get finished having babies. I gave him the stink eye. Not really, but I did remind Brady he’s older than me…it made me feel better). 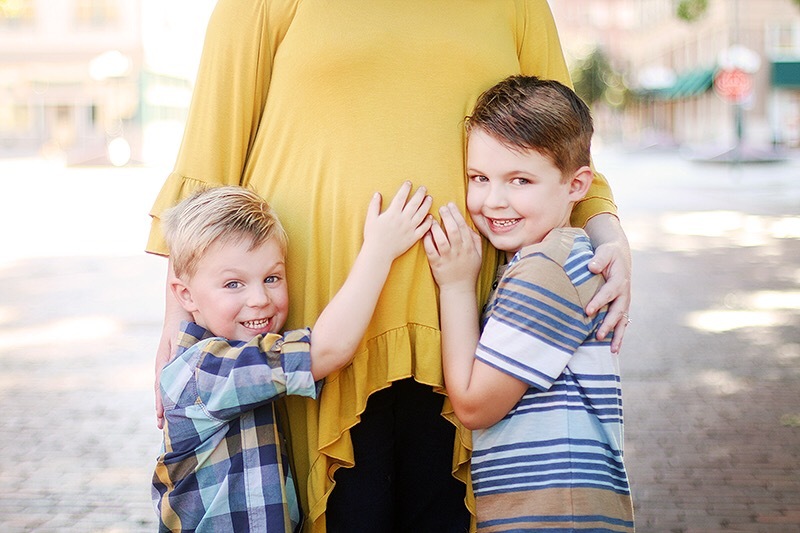 Our boys had no inclination that we had wanted to have more children, but they had started praying every night for a baby sister (this was well before we thought about pregnancy). 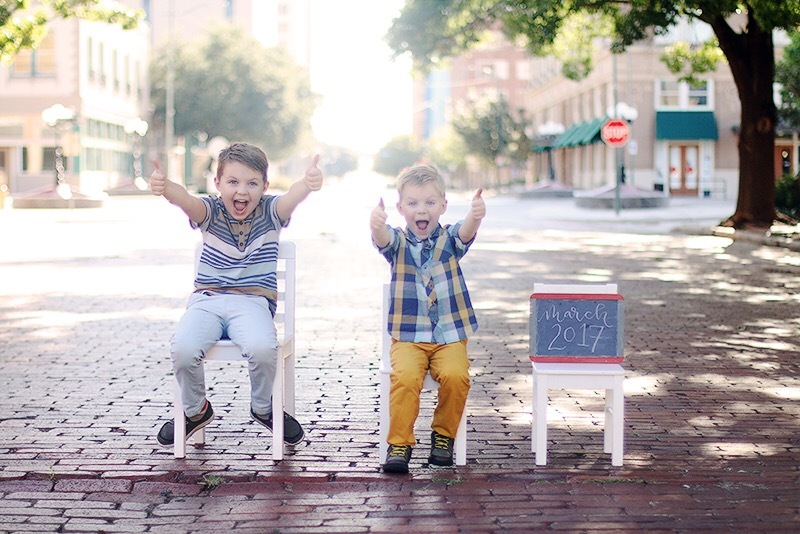 At first I just thought it was cute, then graduated to wondering if they knew something we didn’t, and eventually I secretly started join their chorus in prayer (not necessarily a girl, but a baby). They have been praying over a year for a baby, before we decided to set out on the journey. Pregnancy had not taken a long while of praying for or working towards for us before, so I really didn’t know what to expect. We spent the next next year (that appointment was in July) learning a little about MS, learning how to give me the injections, radically changing our diets, and trying to minimize my episodes. 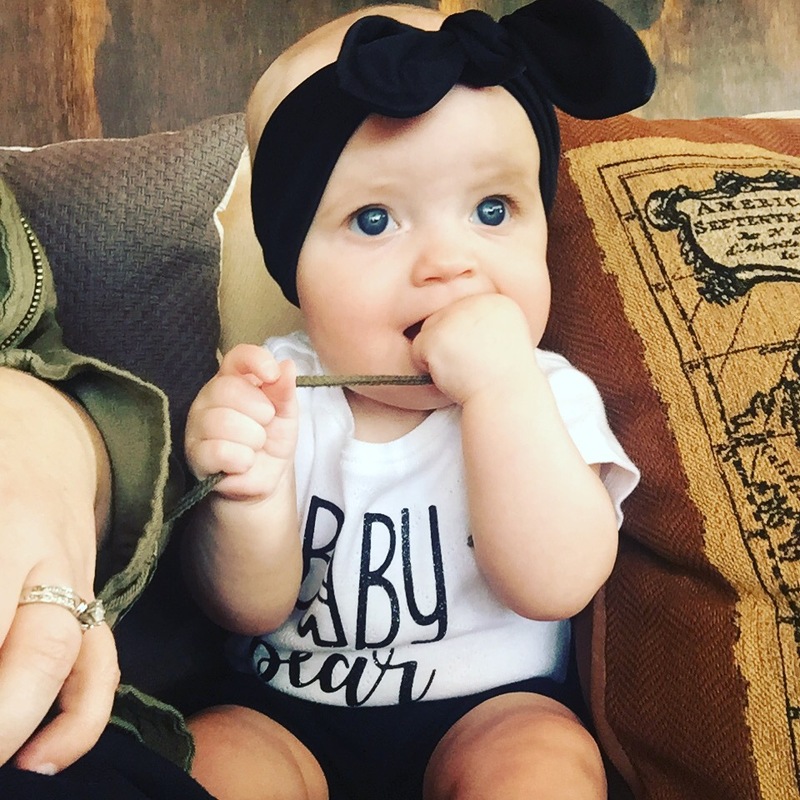 By May of this year, we had really started to believe maybe the Lord was working in our lives and hearts in a different direction that involved growing our family…because pregnancy tests were coming back negative. I decided to quit taking tests and we started discussing and praying about fostering and adoption. After our vacation, I felt different and so very exhausted along with some ill fitting clothes. Which very much frustrated me because I had been losing weight and had been on a strict eating plan for a year. Brady advised me to take a test just so that I would know I wasn’t pregnant (he was so adamant and really was trying to ease my heart). Lo and behold that test was positive! I cried. He sat down out of shock. I don’t remember being so overcome with joy the first 3 rounds (including our first angel baby) but I just think each pregnancy is very different and reflects different experiences and understanding. I could hardly wait for the doctor’s appointment. Given the dates I had, I just knew I must be so far along. Every momma’s wish I suppose. But, the sono showed a heartbeat and 5 weeks 5 days. Pregnant FOREVER was my first thought. But I didn’t care. I had a whole new understanding and joy about pregnancy. Once we went back the next week and heard the heartbeat, we told the boys. There joy and happiness was indescribable. We videoed them (Drake has intuition and had asked a few questions the week leading up which is so evident of his deep understanding and connection to his parents, if you know him well, it’s so who he is and we love it!). He said “really? For real?” And Holt immediately jumped up and kissed my belly. This has been the easiest pregnancy so far. 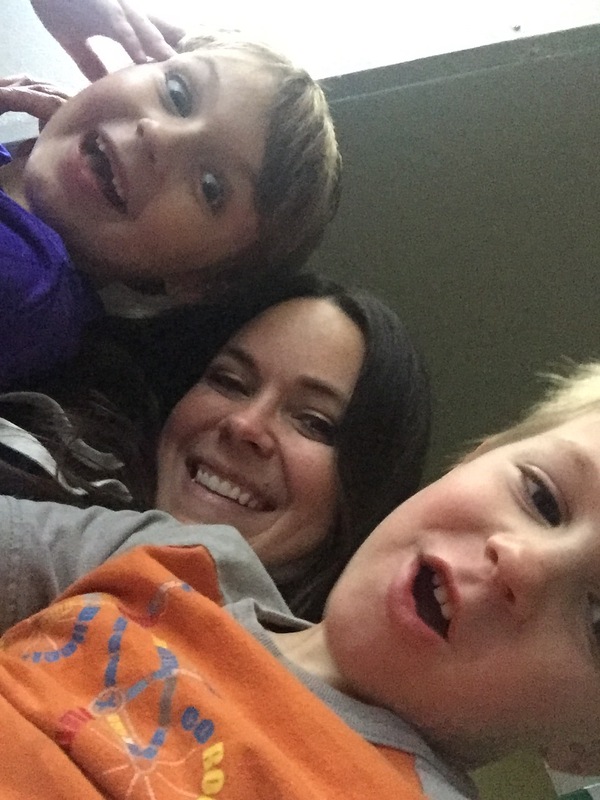 I feel great and it’s such a different experience from my pregnancy with both of my boys. I’ve had no MS symtpoms. We find out the gender next month and the boys pray every night the baby would be ready to be born now. They just can’t wait!!! 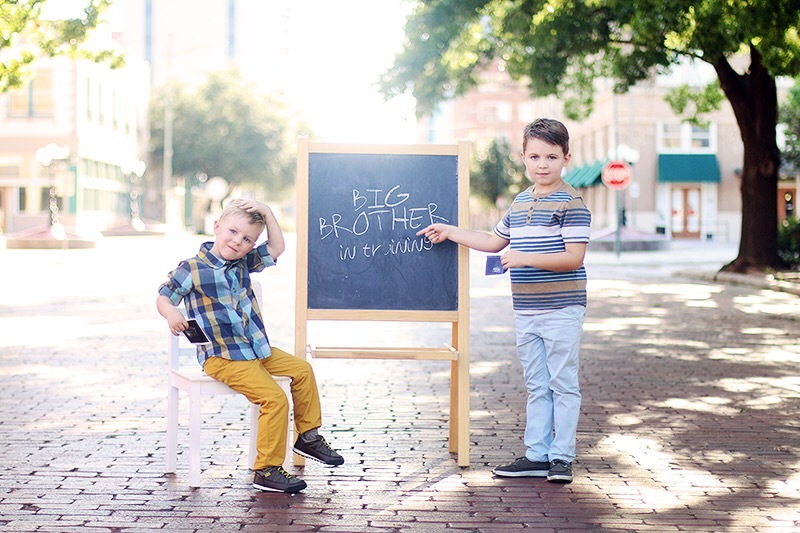 We cannot wait to watch Holt become the only one in the house to be a big AND little brother. Drake has mastered the skill of sacrifice and sharing so we have no doubt will walk in that role and teach his little brother. A funny note, in true boy fashion, Holt somehow literally stained his hands. On picture day. Brady scrubbed and washed them to no avail. I shared a little last week about how I use my Happy Planner. I love pretty things. Pens, paper, stickers, decorating, etc. It’s time consuming sometimes. Sometimes I need to be able to jot it down while I’m on the go and I also need to be able to share information with my husband immediately. I also need a safe place in the techno world to save vast amounts of information that is shareable with other places in the techno world. My husband loves Evernote. He uses his for so many different tasks, parts of life, jobs, notes, etc that it’s like a living log of his life that will forever record everything about him. He sold me on Evernote. I have used it for everything from homeschool planning, task lists for my children to check off themselves, grocery lists, our budget, files for pictures of our children’s artwork (that we can then trash! 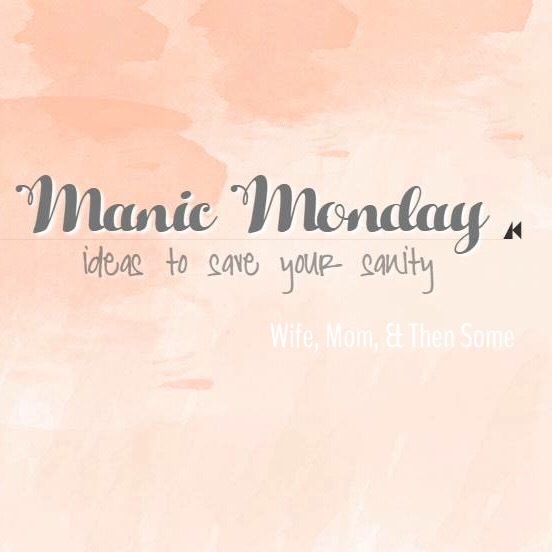 ), planning my business classes and parties, and a safe place to store functional ideas from Pinterest. It’s a one stop shop. All saved. It also has a handy feature where I can create notebooks that can be stacked and notes within the notebooks. Um, organizing junkie dream. 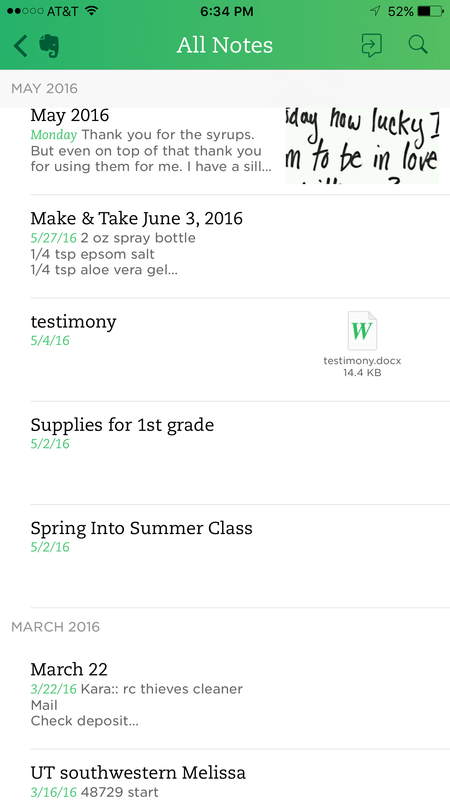 If you haven’t looked into Evernote, there is a minimal version for free and I’ve survived on that alone for 3 years. It’s worth a shot! My husband utilizes Evernote so well, I decided it was a great place to share love notes! I created a note and shared it with him. He doesn’t have to keep up with cards and such, and I can post cute graphics to go along with my notes! We have some serious health issues, so we also keep track of our medical visits, tests, results, bills, etc in Evernote. It’s become a one place stop for all of our records. Here’s a screen shot of an overview list when I click on notes. I can save pictures, notes, links, etc. It also has an option to “pin” from the web! This Friday marks the last day in sharing all of the new series for the summer! 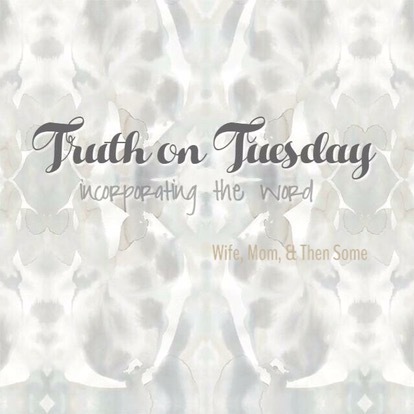 We’ve done Manic Monday, Truth on Tuesday, What’s Up Wednesday, Thursday Thoughts, & Friday 5! Friday 5:: 5 products for you & giveaways! Today is a special guest post from Tiffany Nichols at ULTA who is going to share some of her favorite products, usage, and suggestions! Some people prefer using their hands to spread the mousse over their bodies which is totally fine but I prefer a more even application. I need the extra help getting to those hard to reach areas (like my back) so I use the mitt that comes in the box. For best applications, start at your ankles and use the mitt in long sweeping motions as your work your way up. As you finish, use the mitt to lightly go over your hands and feet. After applying the mousse, do not shower or get into water for about 4-8 hours. Use this lotion to prolong your pretty tan! Make sure you exfoliate every so often, reapply the Mousse as needed and maintain your tan with the Moisturizer. I get complaints all the time about how customers have expensive palettes and they don’t use every color. Solution: Say Hello to this beauty by BUXOM! I am a big fan of customizable pieces like this. There are 40 colors to choose from and YOU get to create your own palette. The colors are pretty, stay on well and are very comparable to other higher end brands, without the big price tag! 3-in-1 Pencil to help Conceal, Brighten, & Line! I’m all about a good deal and this is a staple item in my make-up bag. I use this to conceal dark spots, and also as a helper to keep my lipstick in place so it doesn’t feather. I see ladies also using this to brighten their eyes up and give a more rested look. It’s easy to use and sharpen as needed for a more fine point tip. 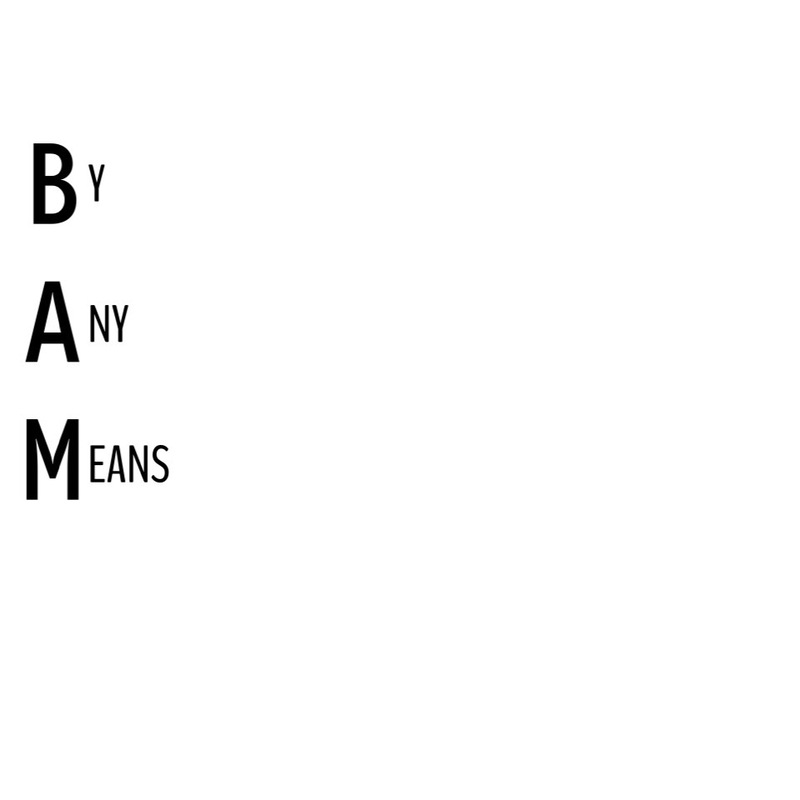 “They’re Real” primes and defines your lashes without clumping. It’s a light brown color and can be worn alone or with mascara. If you wear it with mascara, it helps to make your lashes look longer, separated, and helps mascara to not flake off your lashes. If your lashes feel dry, try this out without a mascara for a little while. It nourishes and helps lashes to feel softer. I wear this alone on days I don’t need full makeup on (aka my days off when I’m running errands and want a little something on my face). I saved the best for last, y’all. Do you know all about this goodness? This. stuff.is.awesome.sauce. If you’re going to spend your hard earned money on the best makeup, then invest in a good makeup setting spray. Trust me. Who wants to spend a good amount of time on their makeup then step outside into the heat and have everything melt off or fade away? Not me. I use this specific spray because I need my makeup to last usually 10-12 hours every day. For my oily faced peeps, Urban Decay has a setting spray called “De-Slick” that I high recommend. It keeps oil to a minimum while maintaining the makeup you spent time putting on all the while keeping your face looking FRESH. Today starts our new summer series for Wednesdays! What’s Up Wednesday! An enlightening series for what interests and refreshes women. Today we have a guest post from Cacee Coheley from Peacock Avenue of Wichita Falls, TX and focuses on taking care of our hair this summer! Caring for your hair can be hard at times but even more so during the scorching summer months! From heat to chlorine your hair can really suffer during the summer. I have a few tips you should follow to ensure your locks stay luscious, shiny, and soft all summer long! Defend your hair from all sources of heat, including the flat iron, blow dryer, and the sun. I am a stickler for protecting your hair from heat. My clients ask me all the time what’s the one product their hair needs most; I always tell them the same thing. Your hair needs a heat protectant from the blow dryer and especially from your flatiron. My favorite heat protectant to use is Kenra Flat iron spray or Simply Smooth Magic Potion, you can’t go wrong with either one of those. We often forget about protecting our hair from the sun, it’s an extension of our body therefore we should protect it just as we protect our skin. Chlorine dries your hair to the max just like it does your skin, and it also has the potential to turn light colored hair into a green. I have had many parents bring their kids to me at the end of the summer hoping I can get the green out of their kids hair. (Don’t worry, we can always get it out.) To avoid this all together, I have a few helpful hints. As soon so as you get done swimming, go wash your hair with a shampoo that strips all of the chlorine out of your hair. You can use many products but I prefer Tri Swim or Ultra Swim, then wash and condition to ensure you rid your hair of the chlorine. (Hint: if you’re into all natural remedies, try rinsing your hair with 1 part apple cider vinegar to 4 parts water, then wash with your normal shampoo and conditioner.) Once you’ve gotten the leftover chlorine out of your hair, fill a spray bottle with water, add a few drops of coconut oil and sage oil, shake well, and spritz onto hair to add shine and vitality!! First of all, there are two main types of scalp health, oily scalp or dry scalp. If you have an oily scalp, wash your hair as often as needed. My hair is oily to the max, I can wash it at night and by the very next night my scalp is greasy and looks wet. If you have this problem, let me stress this, WASH YOUR HAIR. I have never dried out my hair by over washing because my hair over produces oil. Now, if you have a dry scalp and can go 3 days without your hair getting oily, then congratulations! You are one of the lucky ones and don’t have to wash your hair daily! When you wash, always make sure to get all of the shampoo residue out of your hair and ALWAYS apply a good conditioner. Make sure you rinse all of the conditioner out of your hair so it doesn’t leave your hair greasy looking or without volume. Secondly, frequently trim your hair to cut off those dead ends. When you trim your split ends off, your entire hair strand is healthy and it grows nice and long. But when you leave your split ends, your hair still grows at the root but the ends keep splitting and break off. Therefore, your hair doesn’t get any longer. I recommend 6-10 weeks for a trim (trim is anywhere from 1/4 -1/2 of an inch) if you are growing out your hair. If you’re wanting to keep your hair at a particular length, I recommend a haircut every 6 weeks! If you can protect your hair from the heat and chlorine, wash your hair as needed, and trim those dead ends away, you are sure to have touchable, shiny, soft, amazing looking hair. In my haste to satisfy the pride of life, I have diligently fed my flesh by trying to be one step ahead of my season. What I found, instead of joy & contentment, was feelings of failure, frustration, unmet/unrealistic expectations, & a restless spirit that settled so deep in my heart I couldn’t see my way out for trying to fix the way I was approaching life. I quickly clung to my abilities, meek as they are, and hoped to do better. I can be steadfast, I thought. I can work on a pure heart. As I didn’t do much struggling or wrestling (that would have required actual effort, and unfortunately, I trying to just do better weren’t going to work for me), I settled with trying to rest on the areas of my life that seemed natural. Once I was working out of my strengths, and even comforts, I could hear the whispers that could only be heard in a stillness. I cannot, after He has clearly spoken to me about how my outset is not working, continue to work so fervently to be a step ahead of where I am in my life as a woman, wife, mom, or any other aspect of my roles. Then it presented itself like a blooming plant that is emerging from the blossom that has rested, filled with nutrients and all the perfect setting up for a beautiful, bountiful expression of nature. Contentment. I knew the minute my soul was filled with this, alluring to some, actual manifestation of the Spirit. It’s not an emotion. It’s not a feeling. It is the culmination of hope, mercy, grace, and trust. I began thinking “this is so good…I need to write this down.” That pride of life crept back in and then I exclaimed in my heart “this IS good, thank you LORD for getting my soul to a place of understanding, rest, movement, and finally the acquisition of contentment. It began with anxiety and panic that I wanted so desperately to be ahead of my season, onto the next step, planned/prepared/ready, and without a shred of help from others. The deep sorrow I felt after not feeling prepared and ready when a new phase of discipline was necessary in the heart of one of my children, left me feeling the way I mentioned in the introduction. The trepidation was almost more than my person could handle. With the newfound contentment, I could almost hear “this is the next step…look at this Scripture….look how God led His people here….look at Paul’s admonishment here….who are you right here…..what the goal for this season…..what is hard right now in your heart….” questions that I haven’t left lurking like I used to when I thought I could move forward and fix the questions with my approach instead of listening to His guidance. The joy and contentment found in resting in His guidance for where I am now, ABSOLUTELY does prepare me for the NEXT season. If I am not walking so closely with His guidance, direction, hope, and correction right now, then I will surely suffer more when His planned suffering/trials/chastisement enters because I haven’t absorbed the gentle preparation He was providing all along. The discipline of the Lord is love. An example from my life would be when He tells me to slow down. Before, I would have rebuked that thought that I don’t have time to slow down because I need to be ahead of my children’s needs (discipline, health, homeschool, etc) or that I need to be working diligently throughout the day to make sure we are ready for dad to get home to a peaceful place (which never happened when I was pushing out the Spirit’s prompting and pushing hard at home). The result of my efforts was stress, anxiety, discontment, and anger. Meeting the words “slow down” with obedience, speaking gently to those around me, opening my heart to the needs of others, always works in great motion towards whatever my future holds. The sufferings and trials are not big and small in His divine wisdom. They are specific to the days ordained of OUR individual lives and He is faithful and just to give us all of Himself to walk through them. I learned to be content, by recognizing His ability. That ties up so much in my heart that is lacking trust, faith, hope, and an acknowledgement that He’s in control.